The ASPHER Secretariat is pleased to publish the Autumn 2018 Newsletter which is linked for download. ASPHER hopes that everyone is off to a good start for their academic year. As usual the Association has been busy and we are happy to send you our updates and news with you here in the Autumn Newsletter. Big changes have occurred at the ASPHER offices. Fèlix Ruiz Cabré has moved on to new responsibilities with University of Maastricht and Lore Leighton and Cedric Slock have joined Robert Otok in the Secretariat Team. Lore continues to manage Public Health Reviews while taking on new responsibilities for core ASPHER projects and services. Meanwhile Cedric will be developing the ASPHER Public Health Training Academy. The ASPHER office has also moved, along with the University of Maastricht, to a new building. It is just around the corner from the old location, so we won’t be hard to find. 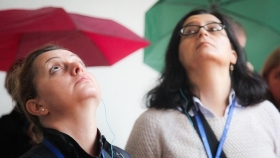 The current newsletter highlights key information concerning ASPHER involvement at the EPH Conference in Ljubljana, including a schedule of all key ASPHER conference and pre-conference events. As well, please find details on planning for the 2019 Deans’ and Directors’ retreat in Erice, Italy. We are opening up opportunities for contributions from Member Schools this year, so please see more below about how you can get involved. ASPHER is keeping up with an active agenda of projects and activities related to public health workforce development, training and education. 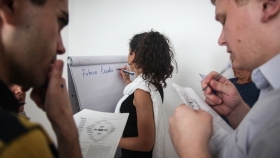 We feature many of these as well as other news of interest, including member and partner activities. 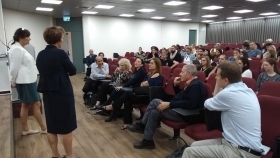 Indeed, the newsletter is coming to you from Ashkelon, Israel where we are currently engaged in lively meetings with associate Israeli schools who are seeking to improve student preparation and employability in the public health workforce. The next newsletter will be distributed before the winter holidays. You can expect to find out more about what will be happening for the 2019 ASPHER agenda. 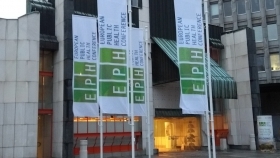 We will also be reporting back from the conference in Ljubljana and current ongoing activities, University of Maastricht and ASPHER’s visit to Ashkelon Academic College, the Salzburg seminars on Public Health Law, and Human Rights in Patient Care, as well as exciting developments regarding Public Health Reviews and the ASPHER Public Health Training Academy. Please enjoy this edition of the ASPHER newsletter and don’t forget to share your news withlore.leighton@aspher.orgto be included in the next issue or on the ASPHER website activity log. Finally, as you see we are experimenting with a new format of the ASPHER newsletter. Thus, we would appreciate any comments and/or suggestions for improvements for us to consider - let us know!